Guest Writer - Rene' Johnson; Games amidst a Faraway War - The Works of Joe Campolo Jr.
My guest blogger today, Rene’ Johnson, was a member of a unique organization that put themselves at risk to provide moral support to their fellow Americans who had to fight that war. 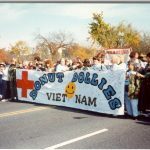 The “Donut Dollies” traveled all over South Vietnam to bases large and small bringing joy and happiness to thousands of American GI’s throughout the course of the war. I always objected to the Donut Dollie label; for they were so much more. With their good will and efforts they brought something to the GI’s that no one else could; memories and hope. Memories of their experiences from the world they had left behind……and hope that those experiences were still possible. I am honored to post this piece from my friend, Rene’ Johnson. As insane as that sounds, that is what I did. In 1969, I was graduating from FSU and at a loss as to what I was going to do. My Plan A, actually my only plan, was not going to get me to Vietnam, which was my goal. I was an Army Brat, and my father had returned from Vietnam in 1963. He told me that ‘this country was getting ready to make the biggest mistake it had ever made.’ Two weeks later the Diem regime was overthrown, and it became ‘game on’. For the next few years, as a college student, I dated men at Ft. Benning, where my father was then stationed, who had also served in Vietnam and were convinced that ‘we were saving the people, giving them democracy’. Yet, on campus, I heard from other students and some professors about the immorality, the wrongness of our involvement. I needed to find out for myself. Fortunately for me, a classmate in one of my last classes was a Red Cross staffer who was on educational sabbatical. While we were working on a project, I bemoaned my fate of finding out that the Air Force, for which I already had a reporting date for the Officer’s Basic Course, would not send me to Vietnam, so I had declined the commission. He asked me if I’d considered the American Red Cross (ARC), and told me about a recreation program that was actively recruiting. The program, Supplemental Recreational Activities Overseas (SRAO), was part of the Red Cross Services to the Armed Forces (SAF) program. Originating in Korea in 1953 at the request by the command to the Red Cross, the name came from a series of conversations about the type of program it was to be. 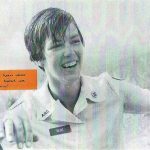 Many of the women always thought of themselves as SRAOers, but as the program progressed in Vietnam, most of the newer staff accepted and embraced the sobriquet bestowed upon us by the guys, “Donut Dollies”. While leadership at ARC really disliked the name, it was what the Clubmobile workers of WW II had been called by the G.I.s, and was meant affectionately. Those stalwart women drove converted trucks and busses and actually made and served doughnuts and coffee. When the Red Cross sent recreation staff to Korea in 1953, the doughnuts continued, although they were usually made in kitchens by local national staff and transported out by the women. Making donuts was not part in our job description in Vietnam. After twenty years, the SRAO program was disbanded in 1973. A few days after Ernie told me about the program, I was in Atlanta, signing up. In early March 1969 I was in Washington, D.C., in a training class for what would be the biggest step of my life! Training consisted of learning about military protocol, recognition of rank insignia, how to behave around military men (I already had that down! ), and how to develop and construct game activities, or ‘programs’, that we would use in Vietnam or Korea, where some of our class were going. On our flight left for Vietnam in April of 1969. Donut Dollies were the only women on board other than the flight attendants. One group that was on the flight was a Military Provincial Hospital Assistance Program (MILPHAP) team, doctors and corpsman who would be staffing a local hospital someplace in Vietnam. They were fun; we played cards and talked for a lot of the trip. It was really a privilege to meet these men, whose work is largely unknown. But they spent a year in a local hospital with the Military Provincial Hospital Assistance Program, treating wounded and sick Vietnamese citizens. This particular team went to Tam Ky and I was lucky enough to see some of them again when I was stationed at Chu Lai, to visit their hospital and see what they were doing to help the people of Vietnam. We spent a few days in Saigon, getting IDs, more orientation, and then were sent out to our various assignments. We were assigned grade equivalencies by the military to conform to travel and billet regulations. These ratings were arbitrarily equated by the military as being of officer rank. This allowed us to eat in the officers’ messes, have PX ration cards, use of Officers clubs, etc., very much as Department of Defense civilians were given. We were advised (again) that we should limit our socialization to officers. To that, we all nodded our heads, and then, through the course of our tours, did whatever we wanted! Yes, there were probably good reasons for that, but – trust me! – most of us relied on our own instincts and chose to socialize with whomever we felt most comfortable with. I will say, for those who still criticize us for our ‘officer preference’, the circumstances made it very difficult to spend social time with GIs, although many of us did. There were two types of Donut Dollie units – Center, and Clubmobile. The Center units operated recreation centers where the guys could come in, cool off, get a cup of coffee or Kool-Aid, shoot pool, participate in programs the staff planned, or just relax. The women working in the centers also went out to the field occasionally. The Clubmobile units were set up to be purely mobile, traveling out to firebases and landing zones (LZs), mostly by helicopter, and doing some programming around the base camps. I think that I won the assignment lottery as I had two Clubmobile assignment of six months each, first at Chu Lai with the Americal Division, and then at Cu Chi, primarily with the 25th Inf Div, but also serving the last remaining brigade of the 9th, and a few remaining units of the Cav at Tay Ninh. The men that we worked with were amazing! Most did not really want to be there, and it didn’t help that the people back home made it known that they didn’t want our troops to be there; seemingly blaming the troops for the war they were fighting in. But we were there to support those men, not the war. And if that mean ‘playing games, that’s what we did. Just think about it – men brought here to kill, folding paper for origami birds; pretending to be office tools, such as a stapler; men tied together with two strings, twisting and turning, trying to figure out how to separate from each other; men trampling each other trying to get an answer card on a game board. They smiled, laughed and for just a little while, were removed from the grim reality of the war. Not all participated, but that was okay. We understood. One memorable day, we were on top of a mountain in the 196th Area of Operation (AO), the name of which I can’t recall. There were only a few men up there; most of the others were on patrol. One of the guys had been a hair stylist before being drafted, and mentioned that I could use a haircut. I agreed, but said I didn’t have a clue where there might be a beauty shop. Well, within minutes an OD green towel was draped over my shoulders, a couple of guys were pouring water on my head from their canteens, and instead of gathering around to play the games we’d brought, they were all around me watching me get a haircut. Our “ride” to our next stop, a loach, arrived just as he finished, and the pilot got a picture of me, hair still wet, as I was climbing into the front seat. (To be honest, I think that he was really a barber, not a stylist, but I did appreciate having my hair short enough to work comfortably again.) But I really appreciated the effort and was good to go until I went to Sydney on R&R a few months later. One thing we avoided was focusing too much on the men’s names. The reason for this, as sad as it sounds, was we had to disassociate ourselves from the men on a personal level in order to fulfill our mission. When we returned to various areas and realized some men were no longer there, we understood that many had been killed or seriously wounded but could not forego our mission for reasons of personal grief. We would have easily been overwhelmed had we focused too much on casualties of the war. We were there to put a happy face forward. Today, when I visit “The Wall” in Washington D.C., I spend time at the sections covering the time period when I was in Vietnam and pay special respects. But I don’t know the names of all those brave men. A typical work week, for me, was being on the helipad at 6:00 a.m. (or earlier), to fly to our first assignment of the day. If we arrived early enough to a location that had a mess hall, we might help serve breakfast. Some days, we would spend the whole day at one place, moving from unit to unit. Usually, we presented the programs that we brought with us, programs based largely on games such as ‘Concentration’, Jeopardy, Yahtzee, or many others of the time, and using topics of interest to the average man, such as sports, cars, WOMEN, animals, music, WOMEN, science fiction, photography, WOMEN, or whatever other themes we could come up with. Sometimes we helped serve lunch, if there was a mess hall or if ‘hots’ had come out on a resupply ship in marmite containers. Sometimes we shared ‘C’s (C-rations), sometimes we just kept programming, or talking. And, throughout the day, we smiled! And smiled! And kept on smiling, so long as it was appropriate. There were times, such as when there had been heavy losses, if one of the guys had received a ‘Dear John’ letter, etc., we might not play our games, but we would listen. When we got home, anytime from late afternoon to early evening, we would shower (IF there was water), go to the nearby Officer’s Club for something to eat (it was the closest place to our quarters at Chu Lai), then work on developing the next program. On Saturdays, we would either visit hospitals or try out a new program on a small, but very honest, group of guys. And on Sundays we might have a free day – church, beach time, attending a stand-down to which we’d been invited, or ……… working on our programs. Each of us was responsible for developing a program, which meant coming up with a theme, deciding what kind of activities to include, compiling the questions, building the props, gathering all of the supplies that were needed, and being sure that it could all be packed into a green military map bag and carried by one girl, if necessary. (However, we almost always worked in teams of two.) And we created or copied and handed out reams and reams of short-timers calendars! (Anyone in Vietnam who had less than thirty days of his tour was considered a “short timer”) Some examples are Snoopy, a helmet atop a pair of boots or a ‘freedom bird’. Of course, some of the men created their own short timers calendar using other designs. Visiting hospitals was rarely easy for most of us. Because I’d worked at Martin Army Hospital at Ft. Benning during college breaks, maybe it was easier for me. Yet it was never easy at the Evac hospital to see a horribly wounded man, missing limbs or even part of his face, and try to tell him that yes, his wife/fiancée/girlfriend would still love him. Or, at a med-surg hospital, to see the men who had less serious wounds, or had some kind of illness, but who would be going back out to the field, the last place they wanted to go. We did our level best to chat them up. And we tried to do all of this with a smile. Sometimes those smiles felt so plastic! 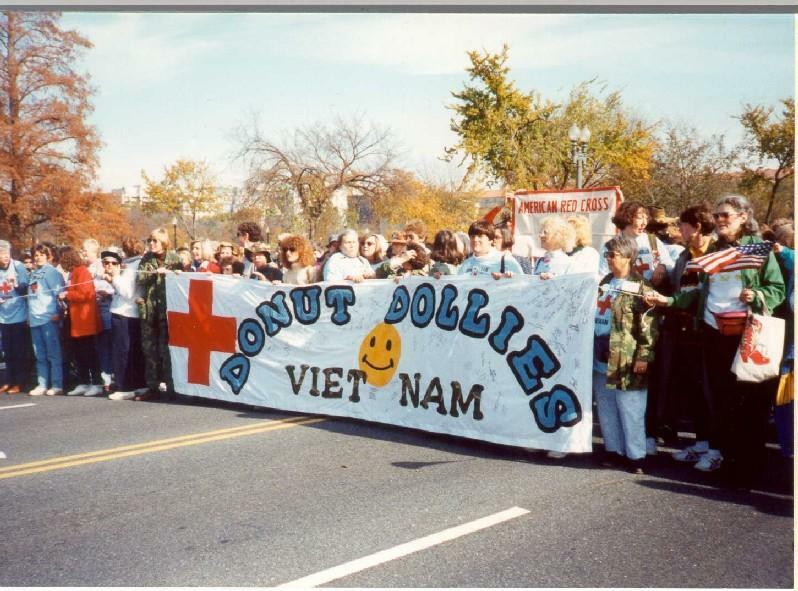 I was one of 627 women who went to Vietnam as a “Donut Dollie”. In Vietnam, except for a few occasions when some really ambitious gals made a batch on their own, the only doughnuts that we actually served were the ones made by some enterprising mess sergeants and given to us to serve. Believe me, Dunkin Donuts had no competition! Over a period of 6 ½ years, we went to wherever we were invited by the command, when it was deemed ‘secure’. We traveled over 2,125,000 miles. We went to places as requested by the military, and which were deemed secure. But we didn’t even come close to seeing all of the men, in spite of our wishes and efforts. 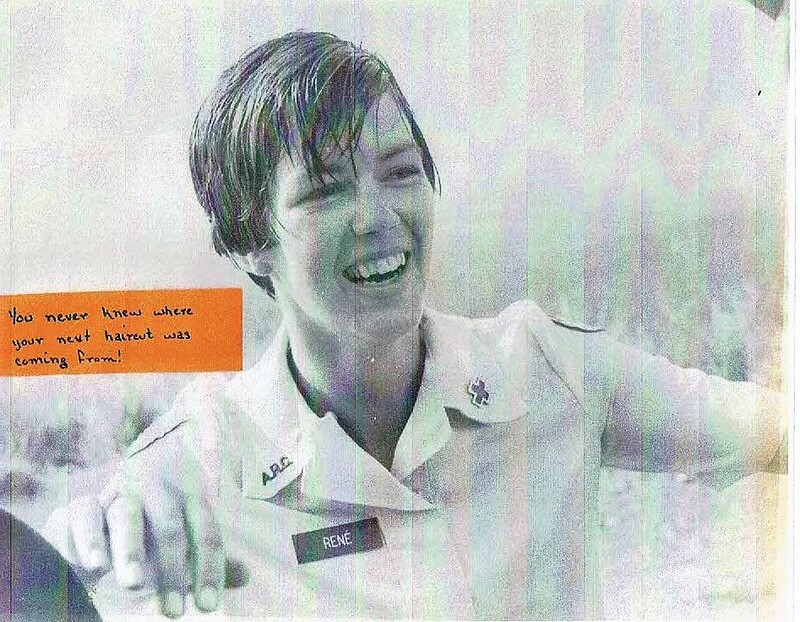 During the years that SRAO was in Vietnam, only one woman was wounded. A round went through the floor of a helicopter that she was on and she received a flesh wound in the thigh, from which she fully recovered. One woman died of an injury received in a jeep accident. One woman died of a sudden illness. And one woman was murdered. And, at the end, a woman who had gone as a Donut Dollie but stayed after her tour, was killed as she was leaving Vietnam as a passenger on one of the Operation Baby Lift planes. The purpose of SRAO was to bring “a touch of home” to the men there. We were the sisters, the girl next door, the high school classmate. Yes, for a year, I played games in a war zone. I had the great honor of meeting some of the most amazing men ever, and they actually played those games with us. It was incredible! I’ve never regretted one minute of that year. Thank you so much, Rene’, for all you did. I do remember when in Cu Chi during 1970, there was a large recreation bldg. run by the Dollies. I do remember playing bingo and winning a wallet once. The bldg. also included rooms with musical instruments and voice recorders to listen / record letters to/from home. You ladies were truly the sunshine in our lives and took our minds off the war…even if it were for a short time and playing games. We loved you all! God Bless! Thank you, Joe, another great article! Thank you John; glad you enjoyed Rene’s story. Those girls were great! Actually, John, you remember the Service Club, Ilikai East, run by Army Special Services. They wore darker blue uniforms, but we were all there to do the same thing – provide a touch of home. We lived together and I know for a fact that they were all terrific women! Did three tours over there and this post brought back a flood of memories. I had the pleasure of meeting several of these women and they were just outstanding and sacrificed a lot to help the troops. Also, they were all beautiful! We can never thank them enough. Glad you enjoyed Rene’s story Jerry, thanks for visiting the website.